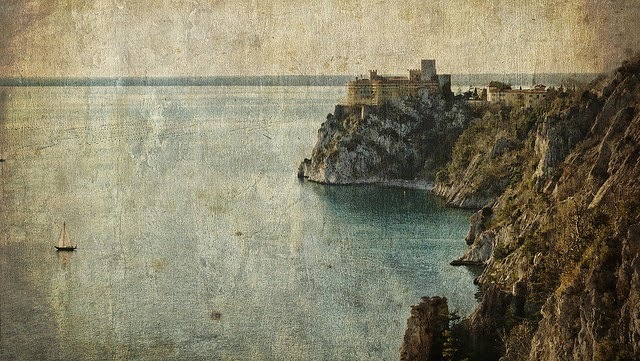 Sydney writer Sheridan Rogers reflects on a recent visit to Duino Castle, near Trieste, the very place that inspired the "Duino Elegies", arguably Rilke's greatest contribution to 20th-century poetry and life. She also reflects on her own relationship to this poet and his work. 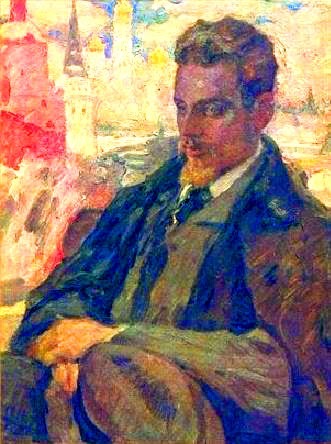 "Great art often communicates before it is understood..."
I had long been a fan of the poetry of Rainer Maria Rilke and had purchased a book of his poems a few weeks before I separated from my husband. I’m not sure how he came to me for I knew no one who was reading him. Perhaps I had read about a new anthology of his poems in the book review section of a weekend newspaper or I’d heard a poem of his being read on the ABC. At the time I was searching deeply for answers, not just because of the break-up of my marriage but because I’d long struggled with the big questions: how to find meaning? what is my purpose? why am I here? I’m surprised now to have inscribed it thus, for this was to be no springtime for me but a long period during which I descended, like Persephone, into the underworld. I remember taking this collection of his poems with me on many long walks around Sydney harbour. Often I would lie on the sand, holding it to my heart, while looking up at the wide blue sky or gazing along the honeycomb sandstone rocks as I paused and reflected on a poem I had just read. Sometimes I’d watch the clouds drift by or become spellbound by glints of sunlight on the water, striving to understand the meaning of a poem and to let the music of his poetry enter me. 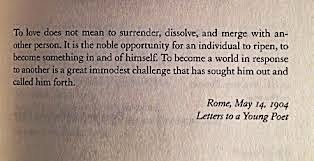 Great art often communicates before it is understood, and this was very true for me with Rilke. Given how elusive he could be, I was frequently overwhelmed by how visceral my response was to his words. It was as though he was speaking to me, and to me alone. At the time, it was hard for me to stand up and assert myself, even to feel I had the right to a voice of my own. All around me seemed oppositional. I felt I was drowning in a sea of voices and just wanted to dive into the deep blue water and never re-emerge. calls itself just, and fattens on injustice. Show me a man with the right to his possession. to all things, like an early morning. At times, I would be swept away by his voice into a semi-hypnotic state. And yet this longing, this yearning to merge with the other is exactly what Rilke counsels against. 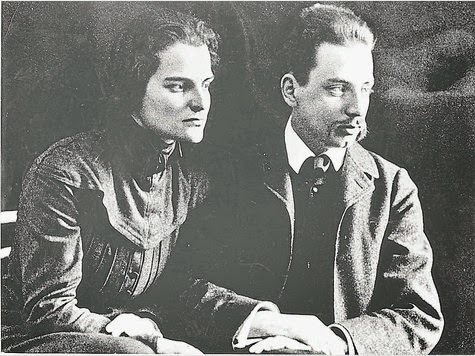 But as I began to read more about Rilke’s life, I came to a glaring sticking point: his many love affairs and cavalier treatment of the women in his life, most particularly of his wife Clara Westhoff and their daughter, Ruth, which seemed so at odds with the respectful, idealistic way he portrays women in his poetry. Ah, I found myself asking, had he - the "Poet Rilke" - also cast his spell over me? in time--, but are place and settlement, foundation and soil and home. Duino Castle - "Who, if I cried out, would hear me...?" Entering the castle gate where the "Elegies" had begun - far from my Sydney home and on a glorious Sunday morning - I could feel my skin tingling. Could I really be walking in Rilke’s footsteps? Would being here, putting one foot in front of the other, help answer some of my own confusion about what it is to be human? Would it help quench my yearning for union, and my longing for transcendence? The Castle is set on an imposing rock spur of the Carso high above the Gulf of Trieste, and the vivid contrast between the sheer brilliant white of the limestone cliffs and the deep cobalt blue of the Adriatic Sea left me gasping – as had the Elegies. truly experienced, even once, is enough for a lifetime. after the blissful chase, and passed on into freedom. Truly being here is glorious. Ahead of us lay a slightly inclined roadway bordered by imposing white marble statues which led up to the actual castle. But it was the garden terraces, which spill down from the roadway to the sea, which I wanted to see first. Steep stone steps lead down to a series of winding paths, one of which leads to a terrace at the base of the castle, and others which lead further down towards the sea. As I descended, I came to a path which led to a dense shady wood of twisted black pine trees and holm oaks. From here I could see the old castle, built during the 10th-11th centuries, clinging to a white rocky cliff that seemed to have been carved by a sculptor. The path through the woods looked rocky and uneven but I couldn’t walk there as the iron gate was firmly shut. The old castle is now a ruin and is famous for the legend of the Dama Bianca (the White Lady) because the white rock on which the castle sits is said to have the shape of a veiled woman. The legend tells of a White Lady thrown from the walls of an ancient castle by her wicked husband, but the sky felt pity for her and gave her a rock body before she fell, smashing onto the rocks. It is said her soul is still there on a cliff near the remains of the old castle and that some nights she comes to life again and wanders restlessly. This path, I later discovered, is not to be confused with the sentiero Rilke (Rilke Path) where Rilke was inspired to write the first two Elegies. That path starts on the outskirts of Duino village outside the castle gates and ends in Sistiana, a seaside village about two kilometres away. It runs along a sheer rocky cliff, at 80 metres one of the highest in Italy, but it has also been closed due to insurance problems to do with the a number of suicides, a poignant reminder that Rilke was affirming both life and death in the Elegies. whenever a happy thing falls. It was while walking on the paths around the castle one stormy winter morning, as the waves crashed loudly against the cliffs, that Rilke believed he heard a voice. He turned around but saw no one. Those mysterious words floating in the air became the beginning of the first of his Elegies (Who, if I cried out, would hear me...?).. to build it inside themselves now, with pillars and statues: greater. 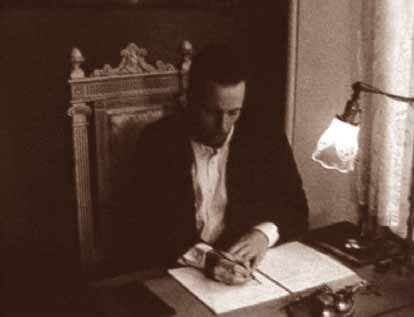 “Rilke’s entire life was given over to the journey of becoming. He referred to it many times as a ripening — of soul, insight, love. His métier was to translate the unsayable into words, to give form to the invisible. It was a sacred vow to self. 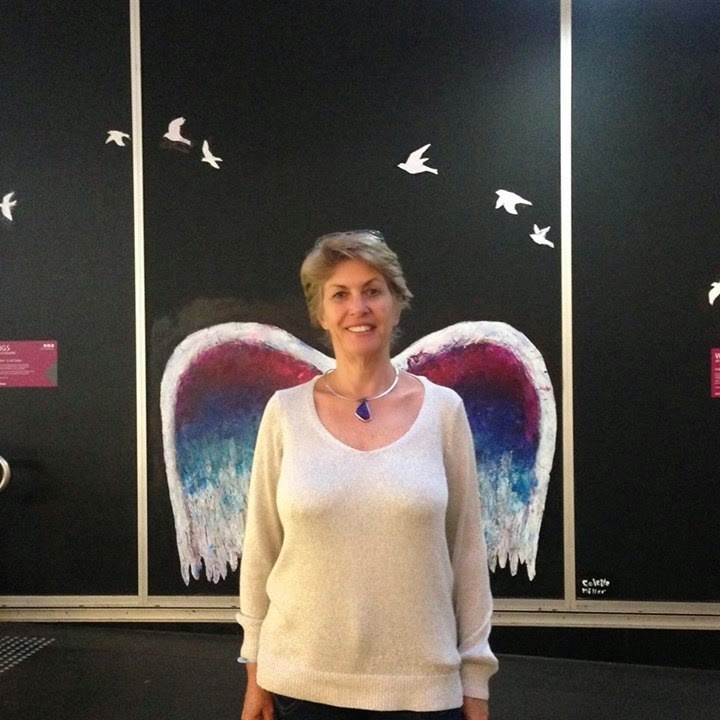 Sheridan Rogers is a Sydney writer currently living in Italy. You can contact her via her blog or also via Facebook. You can purchase the books mentioned POSTAGE FREE via the links provided or via the bookstore links above right. We have had several articles on Rilke over the years - not least because of Stephanie Dowrick's and also Mark S Burrows' interest and scholarship on the poet. Please put "Rilke" into our search button and find those treasures! Sheridan's Rilke extracts are from Stephen Mitchell's translations of Rilke's work.